it's very suit me.i like it very much .it makes my face clearer and bright.i will always buy it. the best cleansing mask i have ever used. great smell! cleansing your skin without leaving it dry. Really feels like having a spa. I have dry and sensitive skin, I enjoy use this mask because it doesn't dehydrate my skin and my skin feels clean! it's great to use, and have a good effect. i recomand this product. I have tried a sample before I bough for the full size. it clean very clear and gentle. Also it doesn't overly tighten your skin or leave you feeling dehydrated. This is Best mud mask for me. Using this mask makes me feel extremely comfortble. Cleaning is easy,and is suitable for very sensitive skin.Pushing slowly on the skin is just like the SPA. It contains tiny particles, but almost can be ignorded. What a luxurious mask. Using it brought blemishes out much quicker, use a few days before a big event. The morning after using this, my face feel so soft, clean and radiant. 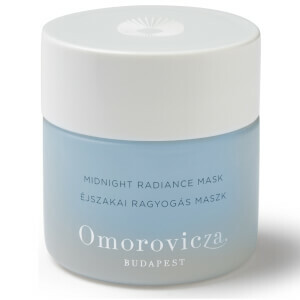 It has become my new "must have" mask!